Our goal is to provide you with a healthy lawn for your family to enjoy. 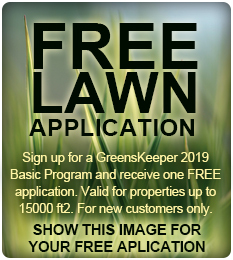 On our visits, we will provide you with a detailed lawn report with recommendations and tips on how you can help in keeping your lawn as healthy as possible. We are an environmentally conscious company and will never apply any products that are not needed. If there is a need for a service call, we will be on your property in a timely fashion and at no charge. Timely applications provided by fully licensed, insured and well trained professionals. The use of industry proven golf course quality turf products. Family owned and operated with a focus on customer service and satisfaction. WE HAVE BEEN PROVIDING GOLF COURSE QUALITY TURF FOR OVER 20 YEARS. OUR EXPERIENCE IN THE INDUSTRY IS WHY OUR RESULTS ARE SECOND TO NONE.